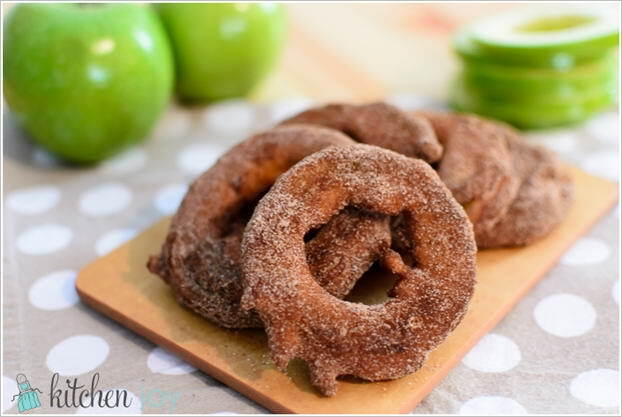 The combo of cinnamon and apple is always a dainty to have. So here is a fabulous recipe you can try. Start by mixing flour, sugar, salt, a pinch of cinnamon and baking powder in a bowl. In a separate bowl make a mixture of buttermilk and egg. 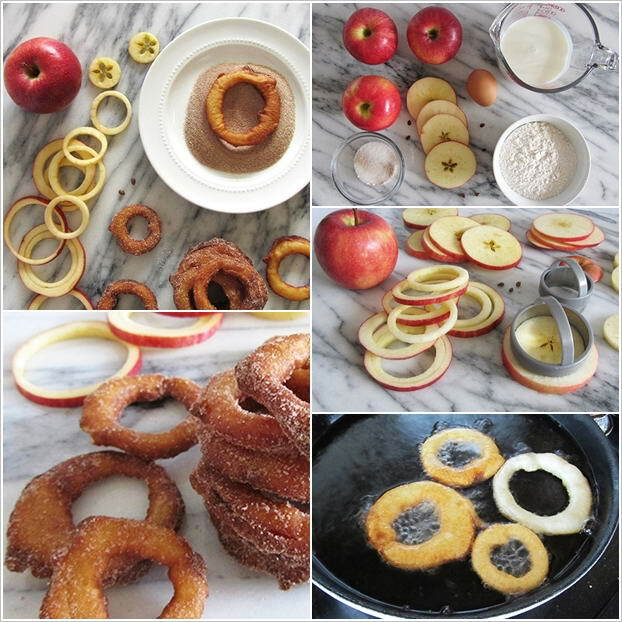 Slice the apples and make their rings with a cookie cutter. Mix the two mixtures created before to make a batter and start frying the rings after dipping them in the batter. When they have fried take them out and dredge with cinnamon and sugar mixture. Enjoy with tea. More details of the recipe at fortune goodies.